Malcolm Mottram was a very talented junior who was earmarked as a young kid with a bright future for the Blues after being recruited from VCFL Club Maryborough. 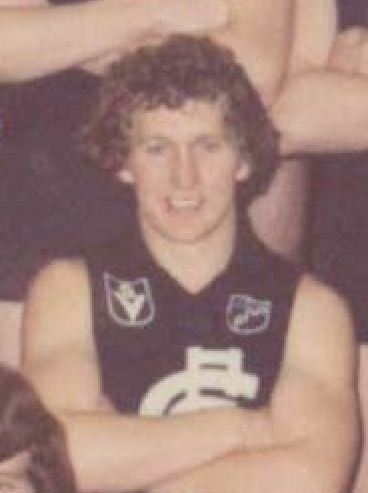 He seemed to be on the Carlton list for 'years', as an outstanding junior he was a regular state representative, including the 1980 Caltex Victorian Championships and Teal Cup (refer to articles below from the 1980 and 1981 Seasons). Mottram played with the Blues U/19's as well as Reserve Grade football with the Blues from 1982 to 1984. Mottram also toured Ireland with a Victorian Schoolboys team in 1981 that was being coached by Nth Melbourne legend John Dugdale. This team had 10 players that went onto play senior football at various VFL clubs, they were Shane Robertson (Carl), Gary Pert (Fitz/Coll), Steve Hocking (Geel), Tim Darcy (Geel), Tony Furey (Nth), Joe Rugolo (Melb), Russell Dickson (Melb), Michael Lockman (Rich/Coll/Swa), Peter Maloni (Swa) and Damian Christensen (Geel). Fellow Blues U/19's and reserve grade player Russell Brock also toured with this squad. Contributors to this page: Bombasheldon , Jarusa and molsey . Page last modified on Friday 08 of March, 2019 22:23:25 AEDT by Bombasheldon. 1992 Rd 20 - Match Preview Vs Sydney. 1986 Rd 2 - Kernahan marks strongly against Richmond.